Puma has tagged 2012 as "The Year of Speed." The German sportswear giant&apos;s mantra of the year is a cue to encourage sprinter Usain Bolt to make a repeat triple Gold performance next week in London, to perhaps repeat his iconic victory in Beijing with his custom gold Complete Theseus IIs. While Bolt and Team Jamaica [see: Cool Runnings] are the faces of modern Puma, the brand&apos;s rich history of innovative sportswear and performance footwear has depended on a variety of Olympic athletes to become the international company it is today. The tale of the two sportswear giants separated by the Herzogenaurach river is a well known one. 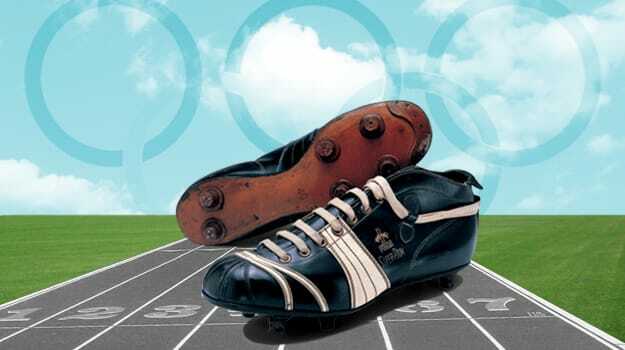 The Dassler Brothers Shoe Factory, known for outfitting Jesse Owen&apos;s famed 1936 Olympic performance, split into two after a post-war family squabble to create separate brands, adidas and Puma. And the story starts there, so follow Sneaker Report as we look back at the Olympic moments that have made Puma the influential brand it is today.